Please come see us at the annual 48th Annual Western Canada Trace Organic Workshop workshop from May 13th to 15th, in Vancouver, BC. We will have our leading staff members there to discuss a lot of exciting developments at CARO and we would be happy to discuss them with you. 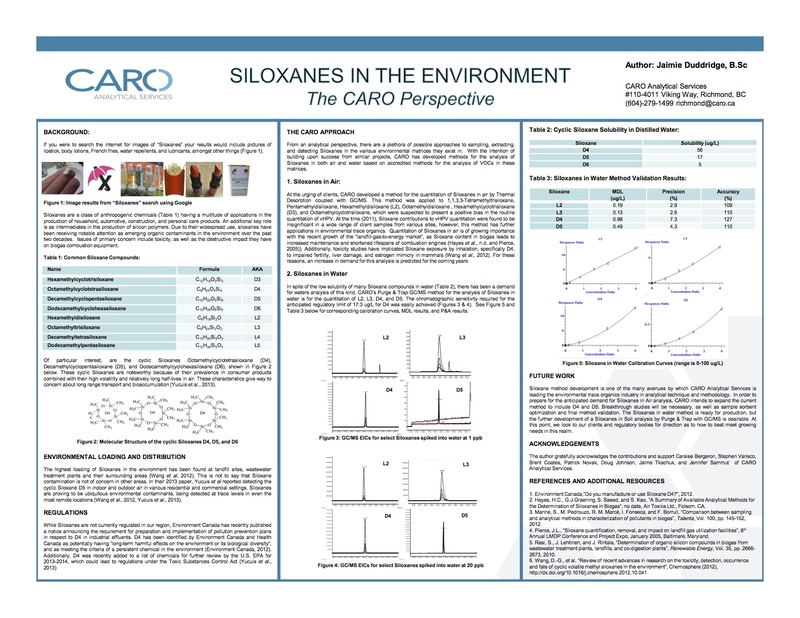 For one of these developments we have Jaimie Duddridge presenting a poster on “Siloxanes in the Environment: A CARO Perspective”. We are proud to support the Western Canada Trace Organic Workshop. Our Business Manager Brent Coates is on the organizing committee and they are excited about what they have planned for this year’s workshop. We look forward to seeing you there.